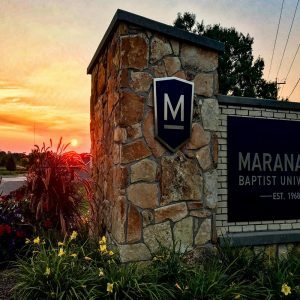 The mission of Maranatha Baptist University is to develop leaders for ministry in the local church and the world “To the Praise of His Glory.” The mission of Maranatha Baptist Seminary is to glorify God by further preparing His servants for gospel ministry.The goal of Maranatha Baptist Seminary is to provide balanced theological and practical training in a biblical way. The graduate level programs are intentionally dispensational, fundamental, and Baptist. The Seminary provides education and development for those who are called by God into ministry settings as pastors, evangelists, missionaries, counselors, chaplains, teachers and other leaders in biblically-based ministries. The focus of the seminary is to offer a proper balance between academic instruction and practical application, which is crucial for lasting, meaningful ministry. Discipleship is the process for this kind of ministerial development. MBS is committed to the overall spiritual development of the students, desiring that they cultivate a love and commitment to God and His truth, which motivates an unwavering passion to serve others. The administration and faculty of MBS are all involved in this discipleship process. Academic demands, personal mentoring, practical experiences, and behavioral disciplines are all components which maximize the spiritual growth of the student. The primary purpose of the seminary is to glorify God by preparing His servants to be accurate and articulate in their position while being holy and humble in their disposition. These are the ministers that please God, reach people, and help the church, and by God’s grace, these are the kind of ministers MBS will prepare.